Price hike means the increase of the price of the essential commodities in the market. It is considered one of the major problems in our country. There are many reasons for the price hike. Firstly, insufficient production is responsible for the price hike. Secondly, improper distribution is also responsible for this. Thirdly illegal and immoral acts of dishonest businessmen cause the problem. Besides, untimely flood and more demand also cause a price hike. The common poor people are the main victim to this. They always suffer from this. Day by day the problem is going out of control. The situation cannot go on. The government formed monitoring cells to control the price hike. The law enforcing agencies should work more efficiently. The culprits must be punished. We should import essentials through tax-cuts. However, the government, the rich and the business class people should come forward to ensure the proper distribution of commodities. Now we should research to overcome price hikes in the future. To Remember the paragraph you must understand the important points of Price Hike or Price Spiral. 1. What is the price hike or price spiral? 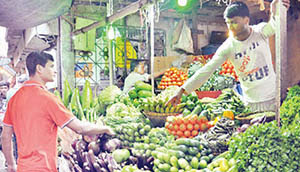 Price Hike means the increase of the price of daily essentials in the market. The common and poor people are the main victim to this problem. The poor people can not maintain their family and other important expenses. 4. Solution/ How to Solve it? The law enforcing agencies should work efficiently. The culprit businessmen must be punished. We should import essentials through tax-cuts. The government should ensure proper distribution of products/ commodities. The above points of information are very important to remember. Then you can write any paragraph yourself.